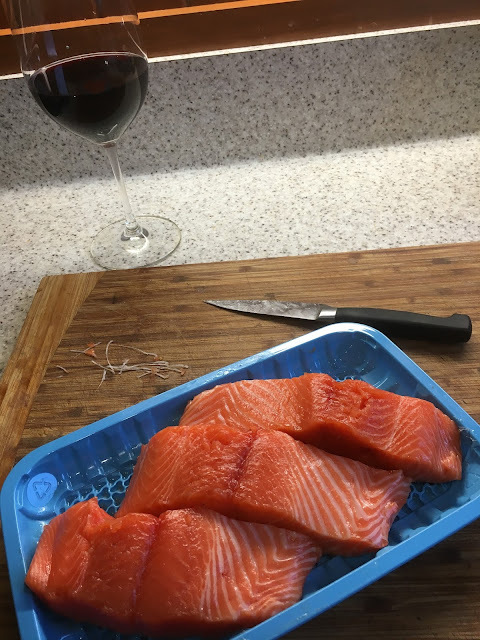 When you get photos of my dinner, you know there wasn't too much going on in the photography department today. A lot going on but just not worthy of a photo. Fortunately dinner was special. 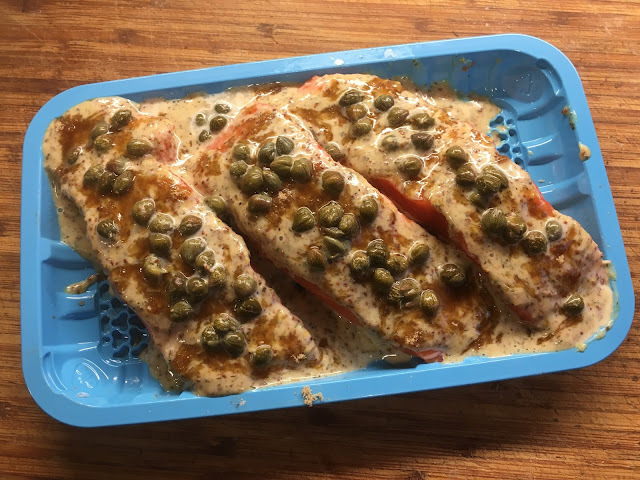 Salmon Fillets, with a moutarde (fancy word for mustard), Horseradish, Gin and Caper Sauce. Getting rid of the pesky bones first is a must. I absolutely hate taking a mouthful of any type of fish and finding a bone. August 5th Who Remembers These? August 3rd This Is Bugging Me! August 2nd The First One Is Here!